VRT Systems recently conducted a very successful exhibition stand at the IPWEA International Street Lighting + Smart Controls Conference. VRT's stand attracted many of the delegates not only to see their new TransLEDer luminaire but also to see their unique Smart City Dashboard. 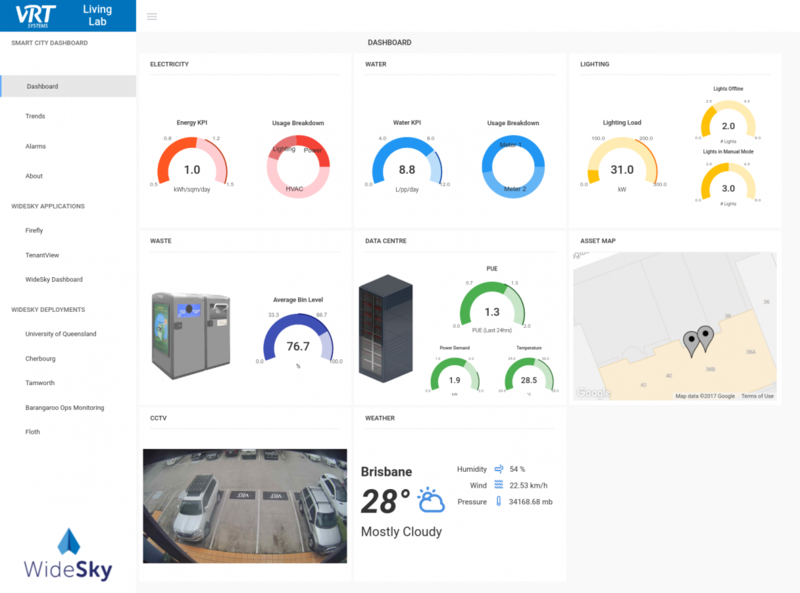 In addition to the conference, on Friday morning VRT hosted 18 industry leading delegates to their recently upgraded Smart City Living Lab in their Brisbane offices. In addition to the TransLEDer luminaires, which were recently successful in the Auckland Transport tender, Scottie also got to witness a demonstration of the Paradox Engineering (PE) 6LoWPAN smart light control system in VRT's Lab and car park. As part of VRT's Living Lab concept, the urls for three (3) TransLEDer luminaires and several internal LED lights have been made available to interested third parties to "play" with. Email sales@vrt.com.au if you'd like these login details.